The word compromise sometimes has bad connotations attached to it. These connotations sometimes imply that a compromise is the lesser of two greater wholes when that couldn’t be further from the truth. A compromise can be an entirely different creation, something unique and distinct rather than a patchwork of previous projects. That brings us to the 2019 Hyundai Tucson compact SUV which is a compromise between the Hyundai Kona subcompact SUV and the Hyundai Santa Fe midsize SUV. So, what is the appeal of the 2019 Hyundai Tucson SUV? Well, that should be obvious. An SUV is for those who need the space and power for cargo and passengers as well as for tackling tough weather and driving conditions. As for why specifically the Tucson over the Kona or the Santa Fe, that is purely a matter of preference. The Kona is a fun and sporty vehicle but might lack for space for some drivers. Meanwhile, the Santa Fe might be a bit too big or too expensive for others. 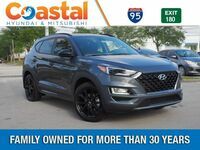 That leaves the compact 2019 Hyundai Tucson as the obvious choice as an incredible compromise. Find Your Hyundai Tucson Match! 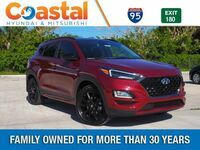 Where Can I Get the 2019 Hyundai Tucson? 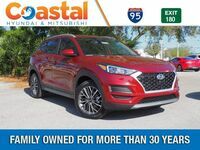 Drivers in the area of Brevard County can test drive and buy Hyundai models, including the 2019 Hyundai Tucson, here at the Hyundai Coastal dealership. 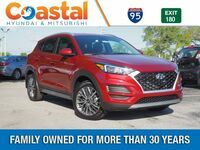 Located in Melbourne, Florida, shoppers can contact that staff of Coastal Hyundai online, by phone, or in person. Come find your next vehicle here with a Hyundai!